Over the past several years, HHI has worked with advocates, elected officials, community members and other partners statewide to create and enhance opportunities for physical activity and active transportation. How our cities and towns are planned, designed and built plays a large part in whether or not there are opportunities for physical activity and access to fresh fruit and vegetables. Buildings, streets, bike and pedestrian facilities, public parks, greenbelts, access to wilderness and nature preserves, the availability of healthy food, and the proximity of farms and food distribution facilities are all determinants that can influence the overall health of our communities. HHI has worked with partners over the course of several years to support and educate around the need for policy changes and necessary planning to reshape the built environment and support active transportation. These efforts have led to the successful passage of legislation that improves community design and opportunities for physical activity, as well as to the development of several state and county level plans designed to support active transportation. Tracking the implementation and evaluation of these policies and plans over time will help determine actual impact on active transportation behaviors across Hawaii. 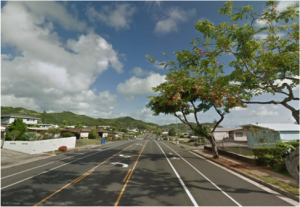 An overview of the process, partnerships and collaboration that led to the passage of active transportation policies can be found in the article “A Comprehensive Multi-Level Approach for Passing Safe Routes to School and Complete Streets Policies in Hawaii”. Complete Streets is a transportation policy and design approach that requires streets to be planned, designed, operated, and maintained to enable safe, convenient and comfortable travel for users of all ages and abilities, regardless of their mode of transportation. Complete Streets allow for safe travel by those walking, bicycling, or riding public transportation. HHI has worked towards the passage of Complete Streets (CS) legislation. These efforts have resulted in CS policies implemented at both the state and county levels within a four year period. 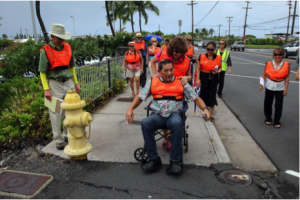 In 2009, State Act 54 (PDF) was passed requiring the State of Hawaii Department of Transportation and the county transportation departments to adopt a CS policy that reasonably accommodates convenient access and mobility for all users of the public highways. Act 54 also established a temporary taskforce to review existing state and county design standards and guidelines. Kauai County passed CS Resolution 2010-48 (PDF) in September 2010, and CS Bill 2465. Hawaii County’s CS Resolution 171-11 (PDF) went into effect in October 2011. 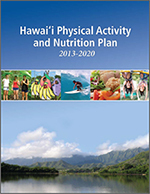 In 2012, Maui County passed CS Resolution 12-34 (PDF). Honolulu County CS Ordinance 12-15 (PDF) that was signed into law in May 2012. Safe Routes to School (SRTS) policies enhance traffic safety around schools, enable and encourage children to walk and bicycle to school, and make bicycling and walking a safer and more appealing transportation alternative. HHI has worked with advocates and elected officials around the need for SRTS policies and the part health plays in supporting the design of walkable communities with connections to schools, housing, and places of work and play. During the 2009 legislative session, Act 100 (PDF) was signed into law. The Act called for the creation and filling of a full-time SRTS Coordinator within the Department of Transportation (DOT), and directed the DOT on the use of federal SRTS funds. In 2012, Act 317 (PDF) was passed, which added a SRTS surcharge on vehicular moving violations to be used to fund SRTS at the county level. These funds are meant to support county SRTS coordinators and provide funding for programmatic and infrastructure changes in the counties that will support SRTS. 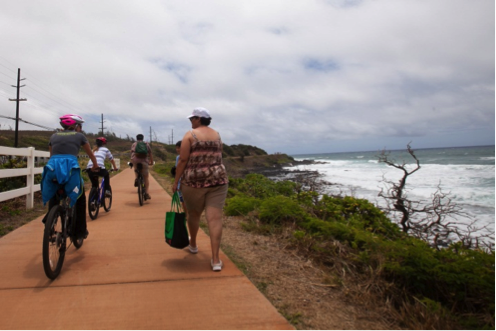 Hawaii has several state, county and community plans aimed at making communities more pedestrian and bicycle friendly and creating safe opportunities for physical activity. 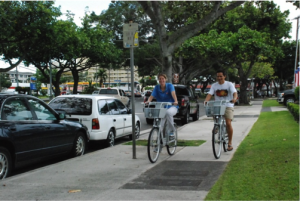 The state Department of Transportation completed its State Pedestrian Master Plan in 2012 to complement the existing 2003 Bike Plan Hawaii, and Honolulu County completed its Oahu Bike Plan in 2013. Each of these plans are currently moving into the implementation stage and partners are coming together to support them. In addition, in 2008 HHI contracted Chris Hart & Partners to develop the Central Maui Pedestrian and Bicycle Master Plan to ensure that future planned development accommodates Maui’s diverse mobility needs, including walking and bicycling. A sub-committee comprised of County transportation and planning departments and community advocacy groups will oversee its implementation. Bike Sharing is an innovative transportation program providing users the ability to pick up a bicycle at any self-serve bike-station and return it to any other bike station located within the system’s service area. The goal is to get more people on bikes and out of their cars, fostering physical activity and helping to combat obesity. 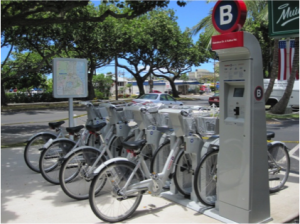 HHI has funded bike sharing in Hawaii since 2008, when Hawaii B-Cycle established a pilot project in Kailua, Oahu. Kailua was chosen because of its favorable geographic characteristics: small area, high population density, and short commute distances. Two bike share stations are currently in place, and next steps include adding additional stations to create a network throughout the community. A few bike stations (4 to 8) would effectively service the entire town. The Kailua project has generated interest in bike sharing statewide. HHI is partnering with a large group of agencies and organizations that have been meeting regularly since 2012, with the intent to launch a bike share program in urban Honolulu. Hawaii B-Cycle has been working closely with the Honolulu City and County Department of Transportation Services, the State Department of Transportation, and other agencies to improve bike lanes, bikes routes, and other facilities for bikes and cars to safely and effectively share the road.